Ken is a founding partner and personally involved in every Shorlan Project. He began his career in the construction industry in 1991 as a concrete contractor. Ken founded several successful companies including Eurotile LTD which was sold in 1998 and McClafferty Concrete which he sold in 2004. Ken was also president of Waterside Development, specializing in Condominium and townhouses in Chicago. 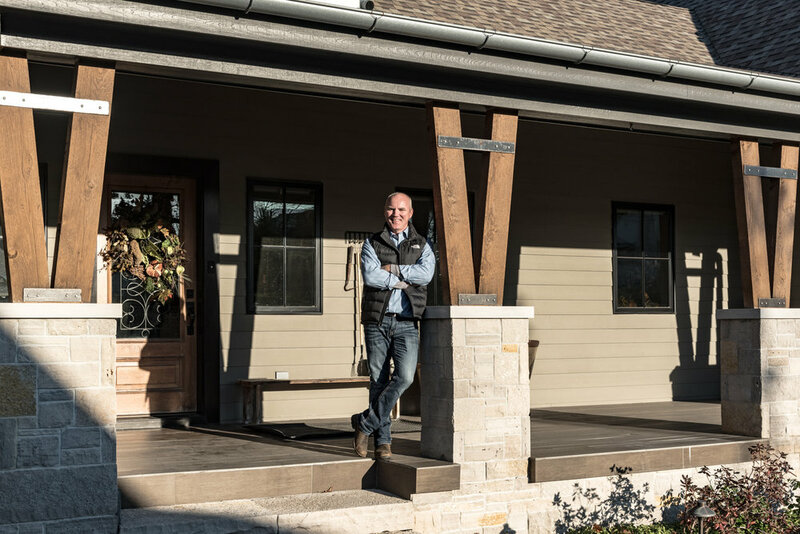 As co-owner of Waterside Development, Ken was responsible for construction oversight and the coordination of Project managers with specific construction ventures. You will see Ken doing his rounds traveling from job site to job site making sure everything is running smoothly and according to plan. Shorlan Group Inc. was established in 1995 with the mission of developing extraordinary homes that serve the interests of consumers. That mission continues to be a driving force throughout today. Shorlan homes has always sought out Chicagoland's finest architects, contractors, and building suppliers. This enables us to be one of the south-side's most respected construction companies. If you can dream it, we can build it. Whether you are looking for a contractor to build your home or are in need of a remodeling job, we have the experts to get the job done. Shorlan Homes has recently worked in communities in Lemont and Lockport specializing in custom homes and high end renovation projects. In Chicago we are proud to be associated with the expansion of communities such as Wicker Park, Buck Town, Old Town, Ukrainian Village, and Humbolt Park. Our development in the University Village area has been received with much success. It is our breath of experience along with the companies' financial stability that provides Shorlan Group with the flexibility and responsiveness necessary to meet the ever changing demands of their residential buyers. The Shorlan Group has never wavered in their commitment to supporting communities. Shorlan has been involved in many charitable causes and civic organizations over the years. Shorlan believes in supporting the community. Building communities is what we do best!